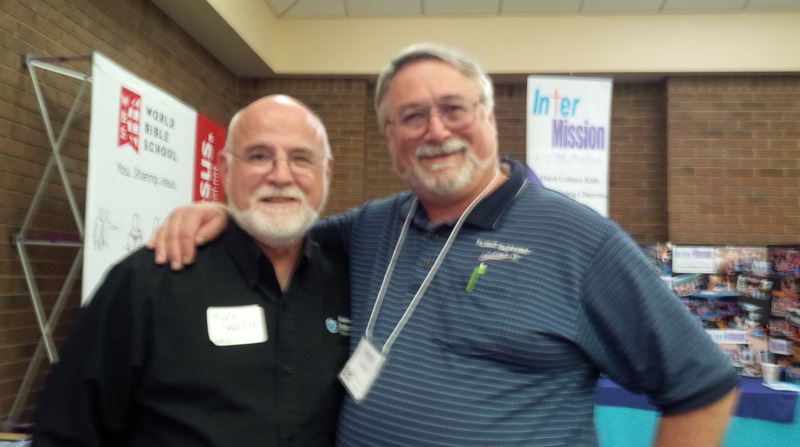 We had a great time at the Global Missions Workshop at Goodman Oaks Church of Christ in Southaven! Saw many old friends, met new friends. One of the highlights was getting together with Mark Brazle. I’ve known Mark most of my life, but we haven’t seen each other in 30 years or so. His Dad, Clinton Brazle, was a Bible teacher at Western Christian College, and Mark’s brother Paul was in my graduating class. Their younger brother was a year behind me, and the three of us played on the same football team. I bought one of my first cars from the Brazle boys, a 1962 Plymouth Valiant for which I paid $25. I drove it for at least 2 years before a friend wrapped it around a tree. Later, Mark was a missionary in Belgium, working closely with Blair Roberts. Blair and I were interns together in Brandon, Manitoba. My sister-in-law, Holly James, was an intern in Belgium with Blair and Mark. To top it all off, Mark’s daughter is a missionary in Tanzania! I’m sure that’s not a coincidence. So, we’ve got lots in common, especially common friends and experiences. It was very good to see him. Also got to spend some time with Robin Cannon. Like me, Robin is a TCK (third culture kid), having grown up in Japan, and then in Papua New Guinea. His Dad was one of my heroes, a Canadian who was a missionary in Japan, Papua New Guinea, Irian Jaya and Ukraine. Robin and I went to the same colleges, and studied under the same teachers. Robin is almost as weird as I am. Robin’s step-mother, Betty Dollar Cannon has been a good friend for many years. Like us, she was a missionary in Ukraine. And it was great to see Lewis and Tammy’s parents, Ed and Sharon Short and John and Beth Reese. Their families and ours have been tangled for quite some time, even though we only recently met them. They have become like family, as we prepare to move to Tanzania to work with Lewis and Tammy. Timothy got into his mother’s Tumeric. Now he’s the yellow kid. Maybe we should get him a long night shirt with odd sayings on the front? 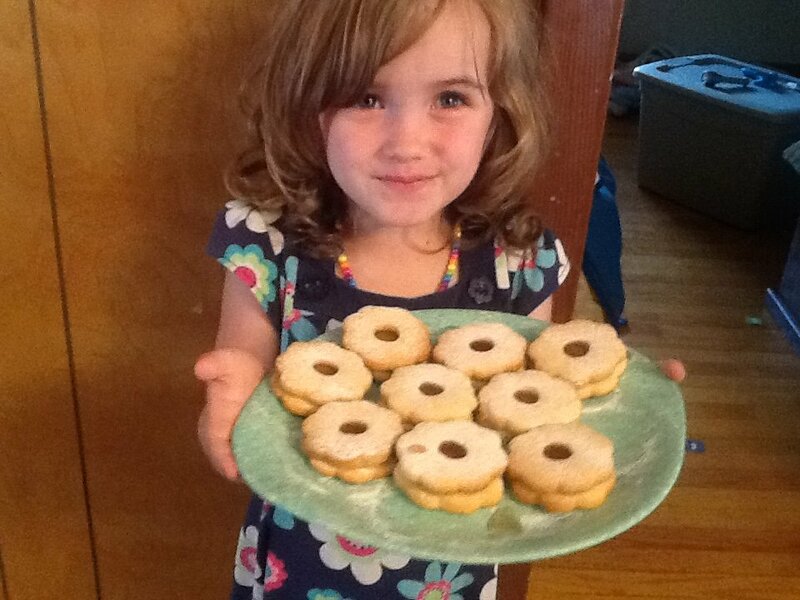 Sophia made “flower cookies,” filled with homemade jam.